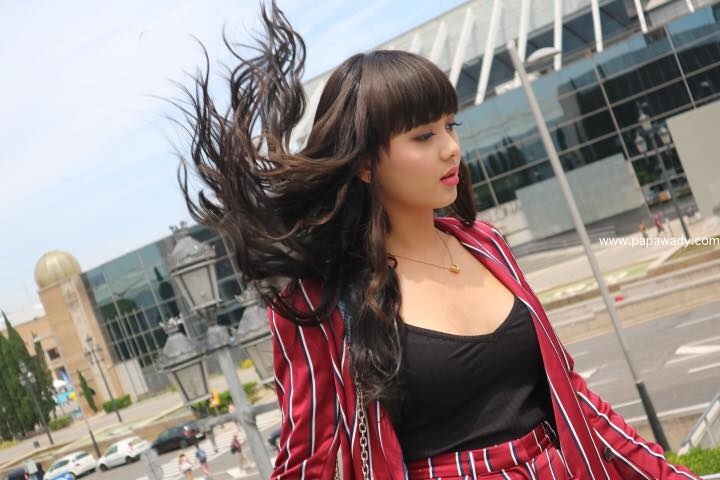 Beautiful model and actress shwe mhone yati shows off her leg while traveling in Paris. She also shows off her Louis Vuitton bag in some photos. What do you think of her fashion ?